Arnold Schwarzenegger's catchphrase may be "I'll be back," but it turns out he's decided the time is not yet right to do so. Schwarzenegger's found some new projects to mark his return to acting, but this week's revelations that he had a love child with his family's nanny and has separated from his wife Maria Shriver, have seen the star cast in a deeply unflattering role - the love cheat. 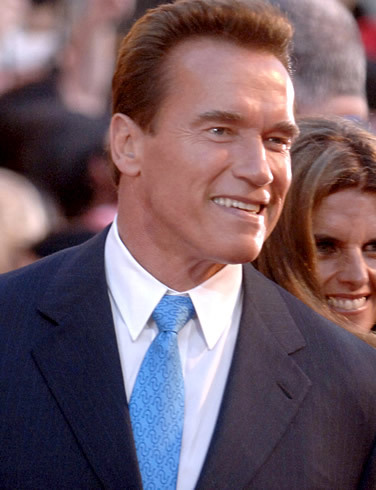 According to his handlers, Schwarzenegger is currently focusing on these personal matters and is unable to commit to any production schedules at this time. The official statement from his agency reads: "Governor Schwarzenegger is focusing on personal matters and is not willing to commit to any production schedules or timelines. This includes 'Cry Macho,' The 'Terminator' franchise and other projects under consideration. We will resume discussions when Governor Schwarzenegger decides."